The figures at Apley Woods, funded by a £50,000 Big Lottery Fund award, include wooden owls, a swan and an otter. Some sculptures have been carved into tree stumps, while others are perched in trees at the 56 acre site. Sean Thomas from the Friends of Apley Woods said the project was a "great asset" and would help youngsters to appreciate their local woodland. 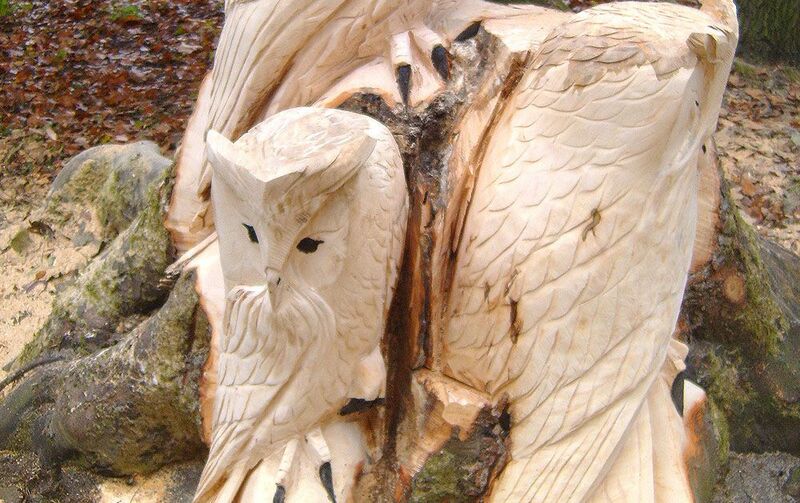 Dave Bytheway from Craven Arms was the artist commissioned to create the work which includes at least 12 carvings. The Small Woods Association in Telford was awarded the lottery funding for a project called Woods for Wellbeing in Telford. The projects aim was to involve the wider community in conservation and volunteering work in local woodland.